programmer_dribble – ..random dribble from my fingertips..
..random dribble from my fingertips.. I found an interesting article by Dan Abramov; “Things I don’t know as of 2018” – an honest round-up of what Dan “knows that he doesn’t know” as of today. That is actually Stage 2 of learning, or “conscious incompetence”. Stage 1 is “Not knowing that you don’t know”, aka blissful ignorance or “insconscious incompetence”. More precisely; something you don’t have a clue about. Stage 3 then, will be “Knowing that you know” or “conscious competence”, in other words; a skill that you can use, but you have to think consciously about it while using it. This is where I am today with some programming skills. I do still look up a lot of stuff, but I feel confident that I can use the programming language and tools to produce real results. And finally stage 4 is “Not knowing that you know”, “inconscious competence”, like when you’re proficient at driving a car; you perform all the actions, manouvering through traffic without thinking about it. Or when you speak your native tounge, usually you just do it without thinking. Is it possible to get to that stage with software development? Become truly “fluent” at it? So a friend of mine sent me a link today to Goalkicker.com which is a site dedicated to producing ebooks with different topics around programming. From A to Z, there are currently 42 books with a total of more than 10,000 (!!) pages worth of programming goodies, digested from the wealth of information available in the Stackoverflow archives. In PDF-format, the books are indexable and searchable and can provide you with comprehensive references on the topics you crave to learn. The Android-book alone has 1324 pages divided into no less than 226 chapters across as many Android development topics. I think this format and approach is good for learning about a specific topic, as it answers questions you didn’t know you had, adding value to your learning. And did I mention that everything on this site is FREE, with no strings attached? Gotta love that! No idea what PowerShell is? I wrote a primer on the subject some time ago. No enjoy, on multiple platforms! Posted byThomas Qvidahl November 9, 2017 November 9, 2017 Posted in.NET related, powershell, programmingTags: crossplatform, mac, open source, powershellLeave a comment on Cross-platform PowerShell! 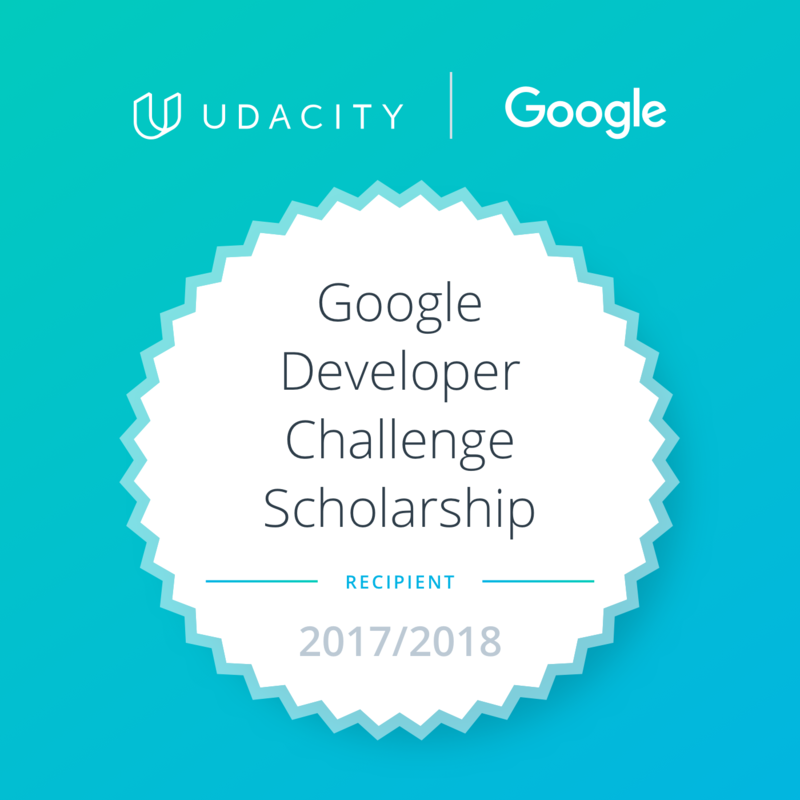 Admitted Google / Udacity Scolarship on the Android Developer track! I recently received an email from Udacity informing me that I’ve been accepted into the Android Programmer track! This is great news for me, and I’m really excited to get this chance to delve deeper into Android development! We are excited to offer you a Google Developer Challenge Scholarship to the Android Developer track. We received applications from many talented and motivated candidates, and yours truly stood out. Posted bytptech November 8, 2017 November 7, 2017 Posted inandroid, java, mobile, online, programming, UncategorizedLeave a comment on Admitted Google / Udacity Scolarship on the Android Developer track! I was listening to my favorite podcast, the TWiT show Security Now, episode 623, with Leo Laporte and Steve Gibson, while driving the other day. They showcased a brilliant little tool that the Mozilla foundation has launched at https://send.firefox.com which allows you to send files up to 1 GB in size, correctly encrypted (TNO – Trust NoOne!) that vanishes after 24 hours or a single download. The project is open source and currently in “Test Pilot” according to the site. And, as you might expect, works in most (any) browsers, not only Firefox. Check it out at https://send.firefox.com ! I’ve just started testing it out, showing it off and getting to know the device, but so far it looks really nice; it’s very responsive as expected, has a nice look and feel and is well integrated with cloud storage, so my notes and documents are always available. I expect to be writing more about it as I gain experience with the device..
Posted byThomas Qvidahl October 26, 2017 Posted inmobileTags: remarkableLeave a comment on reMarkable.. is it? I have just been perusing around a bit, but from the looks of it, the new portal will serve as a good starting point for delving deep into Microsoft technology, wether you’re in Dev, IT or an Office-worker..
I’ll be sharing my experiences with it here on the blog, so come back for more..
Posted byThomas Qvidahl August 29, 2017 Posted inmobile, online, UncategorizedTags: remarkableLeave a comment on reMarkable! 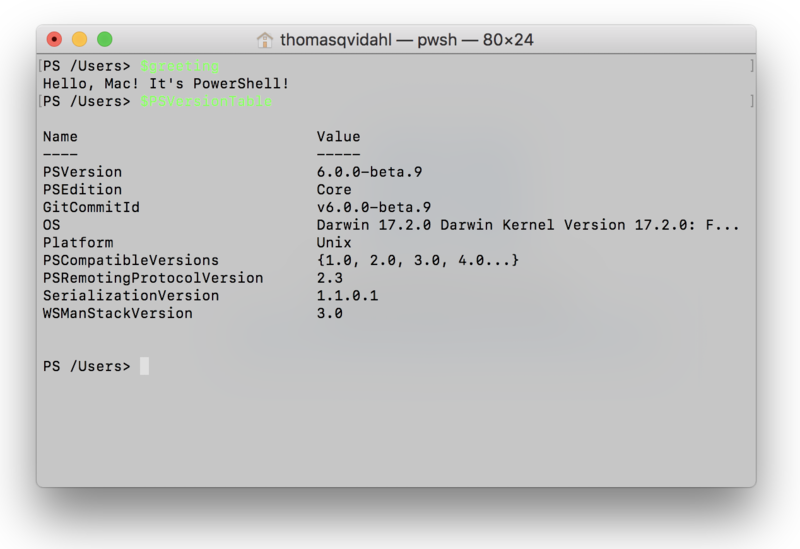 Posted byThomas Qvidahl August 29, 2017 Posted inpowershell, programmingTags: powershellLeave a comment on The Power of PowerShell.. And the shell.. The views and expressions posted here are not intended to offend unless so noted. If you see something that you don't like, comment on it! I won't necessarily change or remove it, but hopefully you'll feel better. Get it out of your system, then find a meaningful way to contribute to society.